A new study says milk and cereal in the morning can help avoid overeating the rest of the day. The study suggests milk — together with a cold or hot breakfast cereal — will leave you feeling fuller for a longer period of time in the morning. About the study: In this study, they were talking about Type 2 diabetes, but, in general, the recommendation is the same for Type 1. You want to have two to three servings of dairy a day. 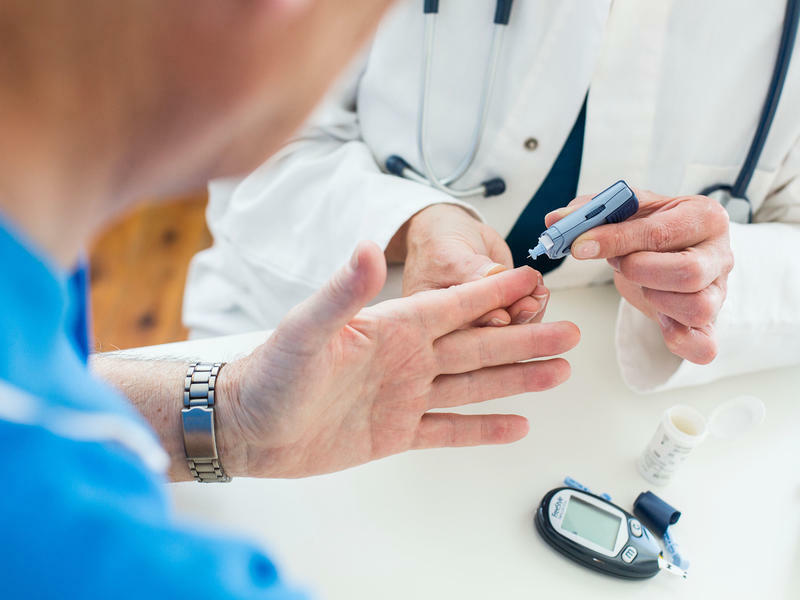 You want to see how that impacts your blood sugar, whether you're Type 1 or Type 2. Benefits and concerns about milk: It’s important to include milk. We tend to want to stay away because it’s high in carbohydrates. Carbohydrates tend to raise our blood sugar, so it’s important that we be aware of how many portions we’re having of milk. But usually, milk only has about 12 grams of carbs per cup, so looking at our glass and measuring the milk that we’re drinking day to day is important. The most important thing is having well-balanced nutrition breakfast in the morning. And including milk in important. It has very important nutrients that our bodies require. Any specific type of milk – whole, soy, almond, low fat? That’s up to the patient. Everyone’s unique. We have different preferences. Some with diabetes may have lactose intolerance. So it’s really up to the person with diabetes to decide what to do. Of course, the recommendation is to go with a lower fat option, but also looking at the total grams of carbohydrates of the milk that you’re having. You can also have different forms of dairy. You can also have cheese or yogurt as well. Recommended cereal: Something that has more protein in it like Special K or even hot cereal that has more almonds or things that are beneficial as well. Remember your blood sugar: Look to see how these foods affect your blood sugar. If you have diabetes, it’s important to experiment with your body and understand, “I’m going to have this for breakfast,” and then check two hours later and see how that's affected by blood sugar. Even with your cereal, it’s important to see how that affects your blood sugar. Benefits of the milk/cereal combination: If you have protein in the morning, you will feel fuller for a longer period of time and that you wouldn’t be hungry as fast. The dairy has protein and fats, so it keeps your satiety longer. You won’t eat as much at your next meal.